The progressive disintegration of an HMA layer from the surface downward as a result of the dislodgement of aggregate particles. Figure 1: Raveling due to low density. 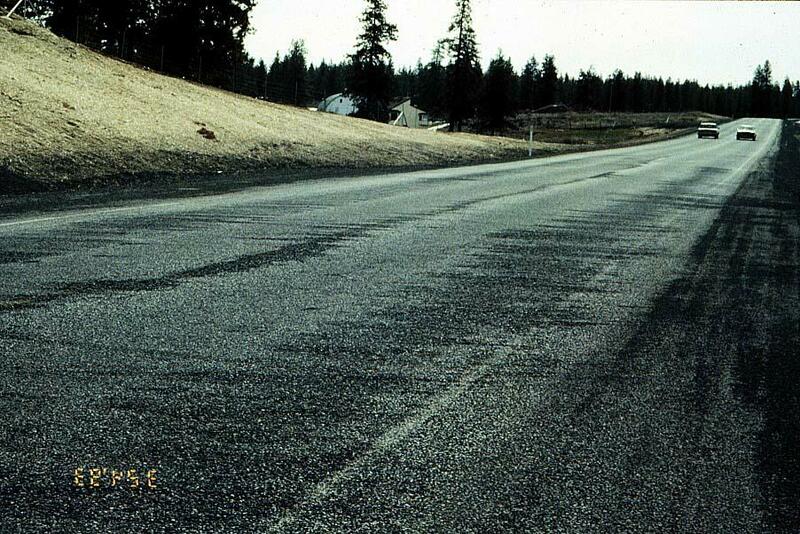 Figure 2: Raveling from snowplow operations. Figure 3: Raveling caused by segregation. Aggregate Segregation. 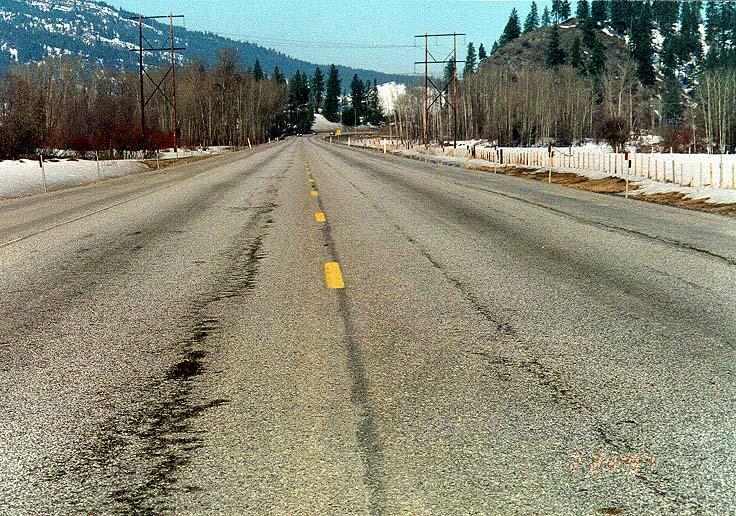 If fine particles are missing from the aggregate matrix, then the asphalt binder is only able to bind the remaining coarse particles at their relatively few contact points. Inadequate compaction during construction. High density is required to develop sufficient cohesion within the HMA. 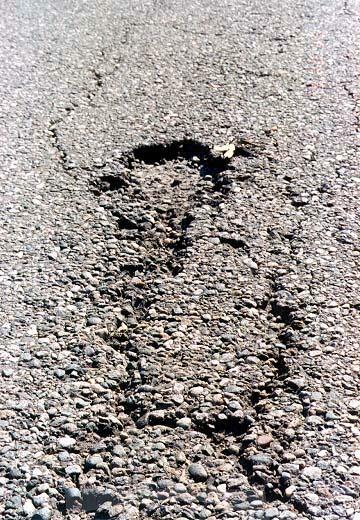 The third figure above shows a road suffering from raveling due to inadequate compaction caused by cold weather paving. Mechanical dislodging by certain types of traffic (studded tires, snowplow blades or tracked vehicles). The first and fourth figures above show raveling most likely caused by snow plows. Small, localized areas of raveling. Remove the raveled pavement and patch. Large raveled areas indicative of general HMA failure. Remove the damaged pavement and overlay.